Designer brand accessories are extremely important to all fashion lovers. If you’re looking for something that will give you a trendy look, look no further than the TieApart website, where you can find Bellroy wallets on sale online. They are a fine accessory for everyday use as well as for important occasions. Fashion wallets by Bellroy without doubt make a great contribution to your overall style, as they greatly enhance anybody’s look, attracting the attention of those who recognise slick elegance. Bellroy wallets are the best possible accessory for your banknotes and cards, thanks to the precise method used in their manufacture, from the materials to the design itself. The leather is carefully treated so that it is both soft and long-lasting and the colours do not fade over time. Careful attention is given to all details of styling; for example, women’s Bellroy wallets are designed to be placed into even small-sized handbags, even though they already come with all the pockets and compartments you will need for convenient and easy use. 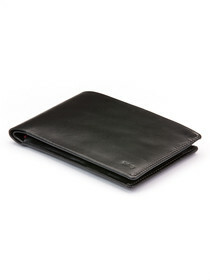 The various models of wallets made by Bellroy are designed to be easy and comfortable to use, with all the features a man’s wallet must have, such as the convenient size that makes it easy to put in an inside jacket pocket as well as the various pockets and compartments for credit cards. The exquisite design of Bellroy wallets is also reflected in the choice of colours, from the classic brown or dark blue to the splendid orange, which easily matches with other accessories such as a Bellroy passport holder for your travels and gives you the chance to make a personal fashion statement. Discover all the various models of Bellroy wallets and Bellroy slim wallets on offer at TieApart and take advantage of our online sale to purchase your favourite wallet at an exceptional price; you will cultivate that perfect look with a great fashion accessory.